Curruchich is an emerging star from the Central American country, where indigenous communities have long suffered discrimination and inequality. The singer-songwriter is an indigenous kaqchikel, one of 23 Mayan ethnicities in Guatemala, and Curruchich sings in both her mother tongue and Spanish. She uses her music to draw attention to the problems suffered by indigenous groups, and fights to improve them. 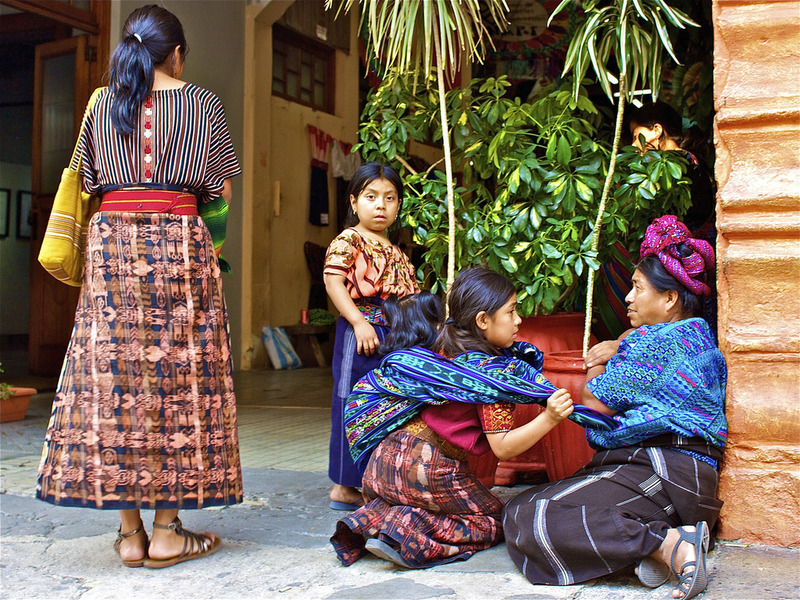 Around 40% of the Guatemalan population of 17 million is indigenous, and they have suffered a tumultuous history since the arrival of Spanish conquistadors in the 16th century. The indigenous Mayans have a proud history of resistance against oppression, and Curruchich continues in that vein today. As an indigenous woman, Curruchich says she suffers double discrimination in a country that has a huge problem with gender-based violence. Her music touches on all of these themes, and she was selected as an ambassador for United Nations Women to take her talent to isolated communities around Guatemala. Performing for people who don’t normally have access to her music means Curruchich can inspire them to break down barriers such as sexism and racism. Curruchich has also performed for international audiences at events such as the Human Rights Watch Festival in New York, and alongside the Dresden Symphony Orchestra at a protest against President Trump’s border wall in Tijuana, Mexico. You can also hear her music on the soundtrack to the documentary 500 Years by director Pamela Yates, and her first studio album was released in 2017. The singer has an infectious smile and a strong stage presence, which makes her great to watch live. She also speaks eloquently about the themes addressed in her music, making her a compelling interview subject for publications such as Sounds and Colours. If you want to listen to Curruchich, check out “Ser del Viento,” her collaboration with Guatemalan rapper Kontra, or “Ralk’wal Ulew” (Sons and Daughters of the Earth) from the 500 Years soundtrack.